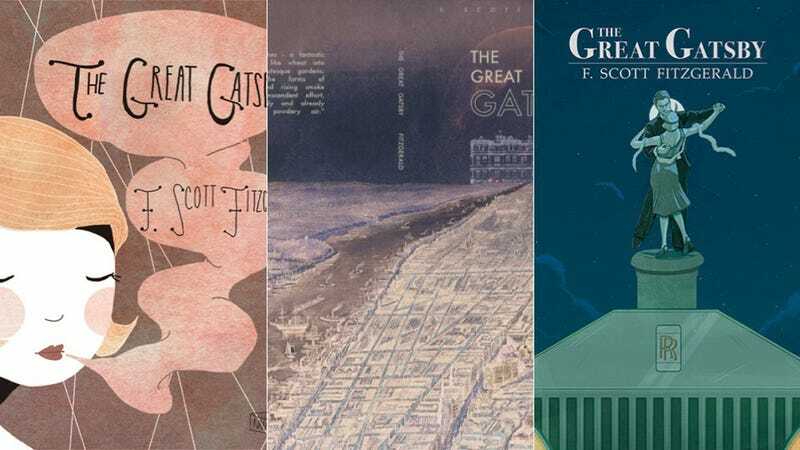 When The Great Gatsby rolls out to theaters across the country this weekend, it will bring to the screen a story familiar to millions from a literary classic that's often dubbed the proverbial "Great American Novel." Here’s what many folks don’t know: even though the book was published nearly 90 years ago and is a long-established part of our shared cultural heritage, it has not yet entered the public domain. Yes, even though F. Scott Fitzgerald died 73 years ago (and is therefore unlikely to be incentivized to produce more work), The Great Gatsby is still restricted by copyright. In fact, it won't be truly free to the American public until January 1, 2021 — and even then only if copyright terms aren't extended again. Thanks to the 1998 Sonny Bono Copyright Term Extension Act, no published US works will enter the public domain until 2019.1 Some countries have slightly saner copyright terms, but the U.S. Trade Rep is working diligently to use international agreements like the TPP to ratchet up terms around the world. Still worse, a tragic 2012 Supreme Court decision declared that even once in the public domain, works can be yanked back out by Congressional action. Between excessively long copyright terms and the uncertainty of public domain status, creating new works that depend on the commons has become difficult and dangerous. We feel the pernicious practical effects of lengthy copyright terms every day. For example, a study last year of books on Amazon showed that books published after the critical public domain cut-off date of 1923 are available at a dramatically lower rate than books from even an entire century before. The result is a "missing 20th century" in the history of books. Nor is the problem confined to books. Another study by an MIT economist examined an archive of baseball magazines that included some issues in the public domain and some still burdened by copyright. By contrast, images from the public domain issues can be digitized and redistributed, and so their availability has greatly improved the quality—and thus increased the readership and editing engagement—of Wikipedia articles on baseball players from that era. You may or may not care about particular baseball players from the 1960s, but the situation repeats itself over and over again across different fields. In the name of preserving profits for a handful of rightsholders, our cultural history is left to decay in legally imposed obscurity. A diminished public domain doesn't just rob us of past works, but of the future works that could rely on an expanded public domain. Rightsholders have the power to veto derivative works simply by refusing to license the works. And if the rightsholder can't be tracked down or confirmed — a real possibility when we’re talking about works that are nearly a hundred years old — the difficulty of getting a license can halt production altogether. Ironically, this hurts the same studios that pushed the Copyright Term Extension Act in the first place. Adapting well-known works is a powerful way to reach an audience familiar with the characters and story, and a strong public domain provides fertile grounds for new works. For example, Disney’s early films mined the public domain freely, leading to classic versions of well-known fairy tales, but its lobbying for expanded copyright restrictions has deprived others — and the public — of the same possibilities. Gatsby director Baz Luhrmann himself took advantage of the public domain with his 1996 film Romeo + Juliet. The movie was, of course, a heavily modernized and modified version of Shakespeare's classic play—exactly the kind of thing that a rightsholder might veto for "artistic integrity," if there were a Shakespeare "estate" that were as good at lobbying as Disney and the MPAA. But it was also a critical and popular success, racking up nearly $150 million at the box office, and the world of film would be a poorer place without it. It should be obvious to Hollywood the value of the public domain as a critical component of a thriving creative culture—both in artistic terms and economic ones. Bloating the copyright term may have seemed like a fine way to protect that year's profits, but ultimately it comes at a great cost to both Hollywood and the public interest. 1 That is, no published works will enter the public domain through copyright expiration. However, works by the U.S. federal government, for example, are never subject to copyright restrictions, and the authors of some private works like the animated film "Sita Sings the Blues" have waived all copyright obligations.